A lawyer for an imprisoned Benton Harbor community activist, the Rev. Edward Pinkney, claims the Berrien County sheriff authorized a raid of Pinkney's jail cell last month, confiscated his legal notes and sent copies of them to the judge scheduled to hear his probation violation case. Pinkney, an associate pastor at Hopewell Missionary Baptist Church in Benton Harbor, is well-known locally as executive director of the Black Autonomy Network Community Organization (BANCO) and a critic of the police and court system. He has also actively opposed Whirlpool Corp. plans to build a privately owned golf course on the city's Jean Klock Park along Lake Michigan. He was convicted of election fraud last year for his role in organizing a successful recall campaign against a Benton Harbor city commissioner. The court found him guilty of influencing voters with money, attempting to influence absent voters and three counts of possessing absentee ballots. He was placed on probation with terms that include he "not participate in any capacity in a campaign for any public election" and "not engage in any assaultative, abusive, defamatory, demeaning, harassing, violent, threatening, or intimidating behavior." 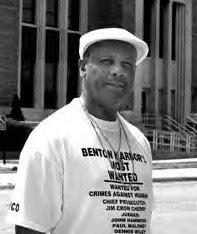 Pinkney was arrested on Dec. 14 after a Benton Harbor parole officer claimed he had violated his probation by calling the Benton Harbor criminal justice system "racist," "corrupt" and "dumb" in the November/December issue of The Chicago People's Tribune. On Dec. 20, Chief Judge Alfred Butzbaugh of Berrien County Circuit Court ruled that Pinkney's "racist," "corrupt" and "dumb" statements were constitutionally protected, but he denied bail after ruling that other Pinkney statements -- referencing Deuteronomy on the plagues that fall upon the houses of the wicked -- might constitute a breach of probation and also might constitute a threat against the judge. Butzbaugh disqualified himself from hearing the case because he was specifically referenced in Pinkney's statements. 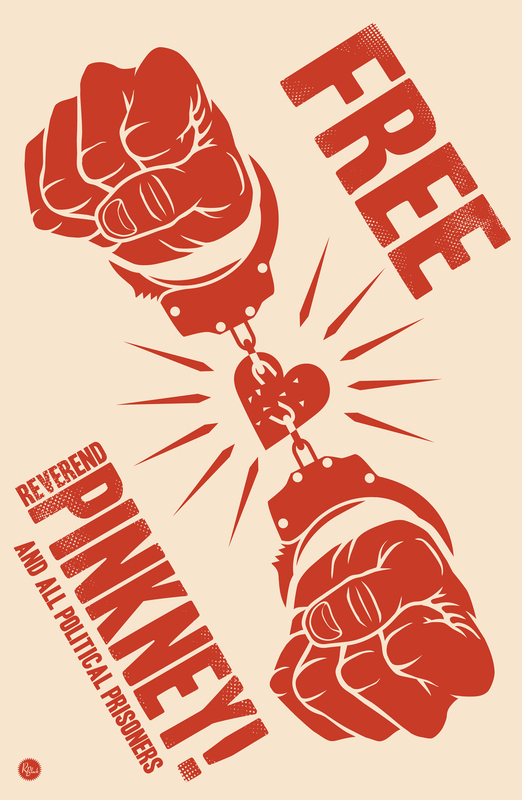 "Pinkney is in danger of being the first preacher, that I know of, in America to go to jail for quoting the Bible," said his attorney, Hugh Davis. Pinkney's notes were seized on March 21 in what prison officials described as "a routine shakedown," according to Davis. In a letter to the Berrien County sheriff, Davis said that confiscating Pinkney's notes and forwarding them to the judge is illegal and "smacks of obstruction of justice and improper unilateral communications with the Court." Davis has argued that all of the judges in Berrien County Circuit Court should be disqualified from hearing Pinkney's probation violation case because all of the judges have been directly and personally criticized by Pinkney for years. Judge Butzbaugh is considering the motion to disqualify the judges and has denied Pinkney bond. Pinkney's wife, Dorothy, added commas said that police have also seized the jail-issued medicine her 59-year-old husband had been using to treat the back pain he's developed as a result of sleeping on a thin mattress on the concrete floor. She said jail staff have also confiscated Pinkney's notes detailing the mistreatment of inmates. 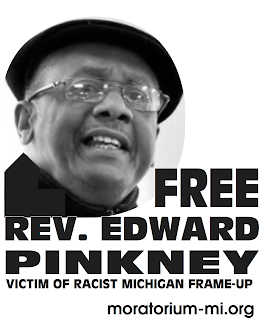 In a phone interview with Michigan Messenger, Sheriff L. Paul Bailey acknowledged that papers had been removed from Pinkney's cell but denied that Pinkney is being abused.